Kongu is one of the most talented residents of his treetop village of Le-Koro. Kongu loves birds and naturally handles them with such ease that he has become one of Le-Koro's great bird wranglers. This makes him an exceptionally good pilot, navigator and mapmaker. It's no wonder Matau has made him captain of the Le-Koro Gukko Patrol! Kongu is Matau's right hand and leader of the Gukko Patrol of Le-Koro with his pet Gukko Ka. He is a born bird wrangler and does his best. Once a humble assistant flax-maker, Hahli has discovered a newfound confidence since she was unexpectedly chosen by Nokama to play on Ga-Koro's Kolhii team. Although new to the game, she is learning fast and displays a remarkable talent. 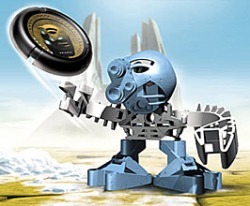 Always full of ideas, Hahli envies Takua's freedom to wander and secretly longs to explore Mata Nui like the Chronicler - especially if it means getting to spend more time with Guard Captain Jaller. Matoro is the sole interpreter of Nuju's mystical stories, following the meaning of the storyteller's movements and tones. He always stands motionless on Nuju's right during storytelling. He strikes a narrator's pose with his legs apart, head back and he uses his deep and booming voice to relay Nuju's wisdom. 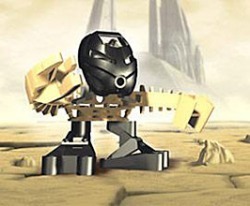 Matoro stays close to Nuju since the Bohrok have awoken, so he's close at hand whenever the Turaga hold their councils. Hafu is a master stone-carver. 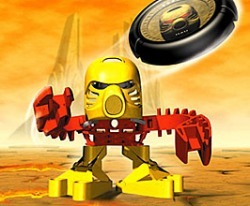 Some villagers - not the least of which is Hafu himself - call him the greatest craftsman that Mata Nui has ever known. He is a talented storyteller, but his favored topics tend to be his own genius and great achievements, and he will talk all day and night about his latest Kolhii feats. Hafu often attempts to outdo Hewkii, who tolerates his teammate's showmanship with good humor. 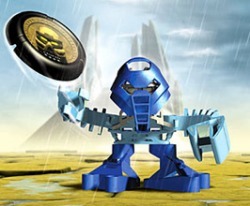 The other Po-Koro Matoran are fond of their master carver and do their best to ignore his arrogance. Macku lives in the floating village of Ga-Koro. Her skill at canoe racing is legendary and her sense of direction is flawless - she can navigate through the waters surrounding Mata Nui in even the worst conditions. Her athletic ability has made her a natural at Kolhii, and her good friend Hewkii is always willing to give her pointers to help improve her game. 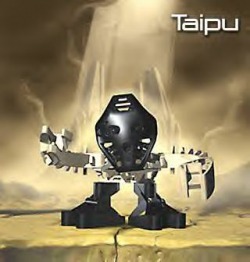 Taipu may appear small, but his compact body holds incredible strength and he can lift many times his own weight. 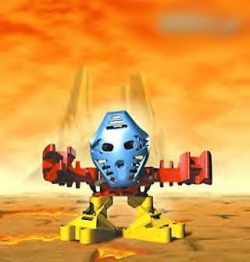 He is enthralled by tales of other lands and yearns to explore all of Mata Nui. He may be a little clumsy, but he is always eager to help. If his friends need protection, Taipu can invariably be found at the front, usually tripping over his own feet to get there. Kopeke rarely speaks and is considered aloof, but his courage and loyalty are known to all. The bridge shrines that he carves from ice are some of the most beautifully crafted tributes to Kopaka ever created. His solitary and suspicious nature makes him an unusual choice for Ko-Koro's Kolhii team, but his skill at Huai Snowball Sling gives him him an unerring aim and sense of timing. Kopeke's Kanohi mask was recently damaged during Kolhii practice and he has taken to wearing a new one in honor of Turaga Nuju. 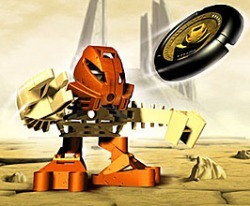 Jaller's athletic ability and no-nonsense manner make him the obvious choice to stand on Vakama's right side. 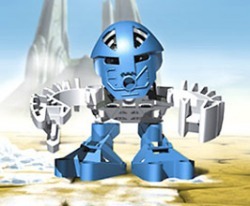 He longs to explore all of Mata Nui, but he understands that his fellow Ta-Koronan do not like to travel. Jaller has a lot to live up to, but he is dedicated, studies well, and works hard to protect his village. 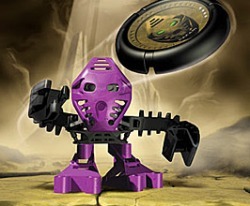 Onepu stands to the right of Turaga Whenua. He has been entrusted with grave responsibility as Captain of the Onu-Koronan Ussalry because his skill with battle crabs is legendary. He is an agile rider and a master of speed, balance and strategy. He has been crowned champion of the Great Ussal Race for the past 5 seasons in a row! Very little is known about the elusive Chronicler, a Tohunga who, unlike the rest of the island's inhabitants, is an adventurous soul. 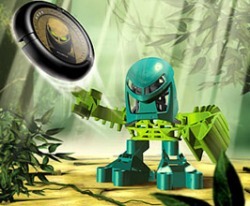 Despite the island's many dangers, he's one of the few willing, even eager to travel across it, making sure to record his encounters with the Toa and their foes in the Biological Chronicle (or, BIONICLE). 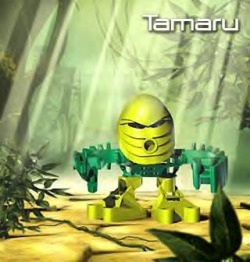 Supposedly he originally called the village of Ta-Koro home, but even as he himself is unaware of his true origins, this knowledge has yet to be proven factual. All that is known however, is that wherever the Chronicler goes, trouble follows. 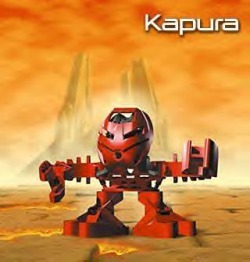 Kapura is considered by some in Ta-Koro to be slightly slow, but Vakama has great confidence in the odd little Tohunga and has appointed him to stand at his left side. 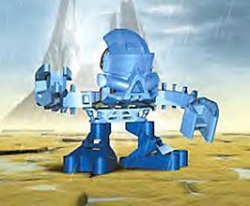 Through the Turaga’s wisdom and lots of practice, Kapura has learned the secret art of covering large distances very quickly by walking very slowly. His slow and deliberate way always remains true to his purpose and he is surprisingly thoughtful, contributing simple but profound wisdom from time to time.